Does the world really need a fourth iteration of “A Star is Born?” Yes, because I watched clips of the three earlier films and they all looked god awful. Especially the one with Babs. Ok fine, the world doesn’t really need another cliched story about the hopes and dreams of an aspiring music star. But if you’re going to do it, at least do it right and Bradly Cooper’s brilliant directorial debut does just that. I sort of dreaded seeing Lady Gaga’s major feature film debut because even though I’m a fan, her acting on “American Horror Story” wasn’t great and her smaller film roles, like “Machete Kills,” gave her little room to make an actual impression. 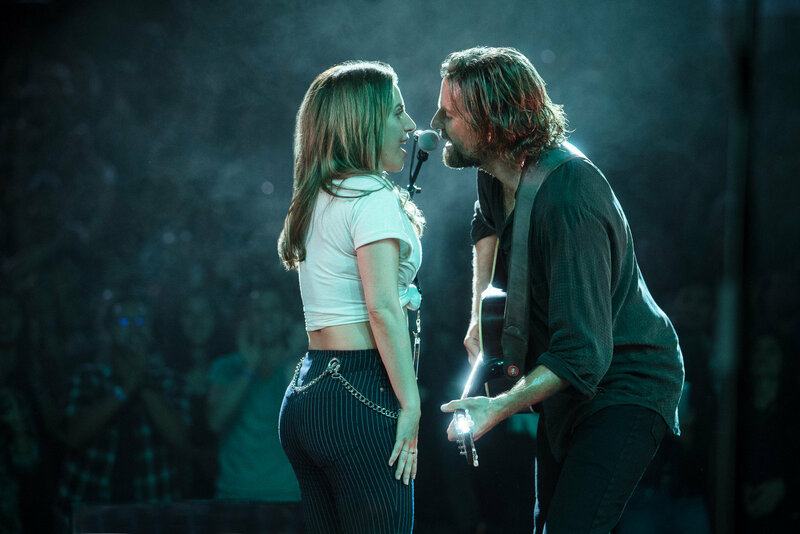 But she is simply sensational in “A Star is Born;” the film is an emotional roller coaster filled with fantastic performances, inspired music sequences, and an arresting sense of realism. The film's emotional pull is unobtrusive but relentless. Nothing in “A Star is Born” is truly groundbreaking. It’s sort of a well worn story about fame and stardom but it’s impeccably crafted. Lady Gaga is Ally who is a waitress by day and drag bar performer by night. Bradley Cooper is Jack, a drunken fictional rock star whose stardom appears to be fading fast. Fate bring him into Ally’s drag bar where he “discovers” her. They hang out, talk, sing a little and we witness the sparks of some of the most impressive onscreen chemistry I’ve ever seen in a film. The gruff Jack is smitten with the appealing young woman and before she knows it he’s dragging her onstage to sing a duet. This is one of the film’s most engaging scenes. I got extremely choked up watching Ally’s impressive debut and Gaga and Cooper’s rendition of the original song “Shallows” is emotionally fulfilling. You’re literally watching a star being born. The film isn’t supposed to be the story of Lady Gaga’s life but it’s hard to not make comparisons to what we’ve seen and heard about the singer. The film’s script (by Eric Roth, Will Fetters and Cooper) takes the usual turns: Ally becomes a pop sensation while Jack continues to drown himself in booze. There’s not real shocking revelations or crazy turns but the film wins you over with its impressive performances from its leads and supporting players. Andrew Dice Clay has some really sweet moments as Ally’s single dad and Sam Elliott is affecting as Jack’s equally gruff older brother. The film’s original songs are also impressive and the leads' vocals are on point.